Last weekend I felt lazy to shave at home and so trudged to the nearest salon. The barber put the towel over me, scrubbed my face, gave my cheek a few spanks and proceeded to take a blade and snap it into two, before sliding one half into his razor. He proceeded to work on my beard. In 15 minutes he was done. As I went through this, a thought dawned on me. Why didn't Gillette, Super Max, Malhotra & Sons or Glide launch a single half blade pack of 20 0r 50 for salons. You know what I mean, a single half piece that neatly fits into his razor. There are few reasons here. Of course, convenience for barbers no doubt. And the other, peace of mind for customers. Just imagine the fearful thoughts of a person who sees the barber opening a used blade pack to fetch the second half of the blade to use. I'm certain he suspects the barber is re-using the blade. Although, he may be using a fresh piece. 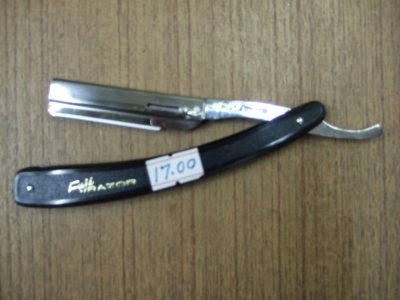 The last reason for the need of such a product is that when barbers snap the blade, it's not going to split perfectly. And the risk of nicks is high because the blade may not slide and sit perfectly in the razor. An uneven blades can cause cuts. I'm sure there a million such salons in India alone. And each barber must be wielding his razor on 10 customers each day. Surely, not a small market to be ignored. Gillette, Super Max, Malhotra & Sons or Glide. Anyone listening?